Due to the complexity of pediatric heart disease, successful treatment depends on advanced medical facilities and highly-trained medical professionals. These are rarely available in developing countries due to a lack of resources. Surgeons of Hope has developed a sustainable strategy to provide care to children in need of heart surgery. We approach the need on three key fronts by giving urgently needed care, cultivating skills in local medical teams, and constructing centers of care in developing countries. Several studies on pediatric cardiology in developing countries have shown this to be the most sustainable approach. 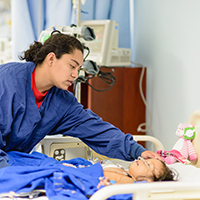 In order to immediately help children with heart defects, Surgeons of Hope organizes and deploys volunteer medical teams, originating from a number of international and national academic hospitals. Each medical mission is designed to meet the goals and needs of partner communities. On-site Training: Visiting cardiac specialists provide training in the form of hands-on experience and lectures for local and regional medical professionals. Off-site Training: Surgeons of Hope organizes and sponsors trainings for physicians and nurses at cardiac facilities within Latin America. Telemedicine: As a low-cost adjunct to on-site training, telemedicine enables the Surgeons of Hope team to provide long-distance patient management and medical education. Telemedicine also facilitates communication among affiliated clinics within the region. Most developing countries lack the medical facilities to support basic health care, much less complex procedures like cardiac surgery. Access to a technologically-advanced facility is a critical component of the effort to provide equitable access to pediatric heart surgery. 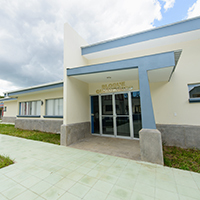 With the aid of partner organizations, Surgeons of Hope constructs and equips medical facilities in communities in need.